It's become a staple of Christmas time in Ireland. 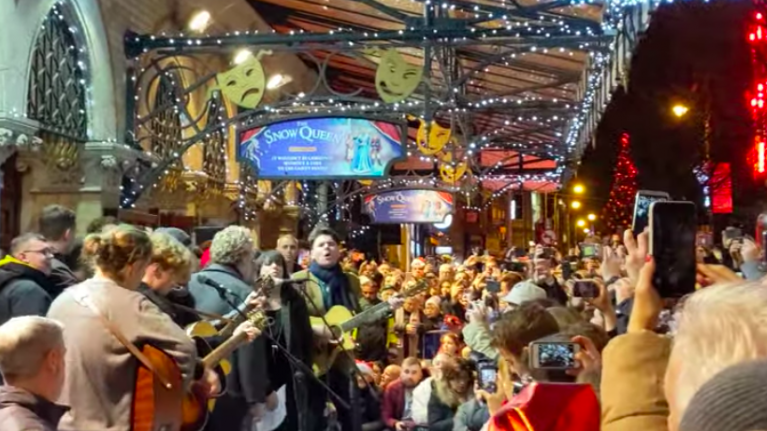 Some of the biggest names in Irish music came together outside Dublin's Gaiety Theatre once more for a huge busking session on Christmas Eve. 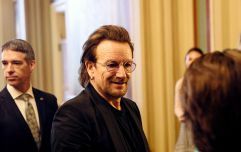 Among the stars were Bono, The Edge, Imelda May, The Coronas, Damien Rice and Glen Hansard. A huge crowd gathered to watch the now-annual concert, and it looked like there was a lovely vibe in town. Bono and The Edge also played a stirring version of O Night Divine, which can be watched below thanks to MCD concert photographer Tom Flynn. Proceeds from the busking session go to the Simon Community, which provides essential services to people who are homeless. Visit here if you can afford to make a donation. QUIZ: Can you identify the missing word in these U2 lyrics?